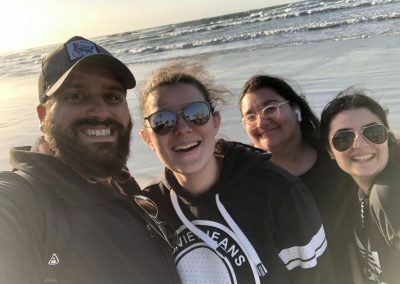 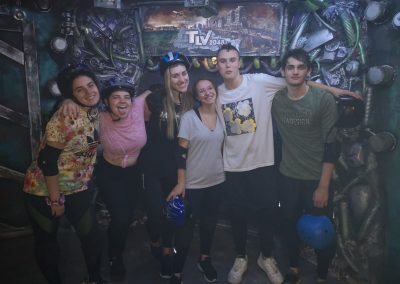 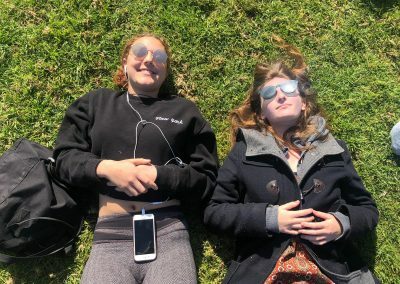 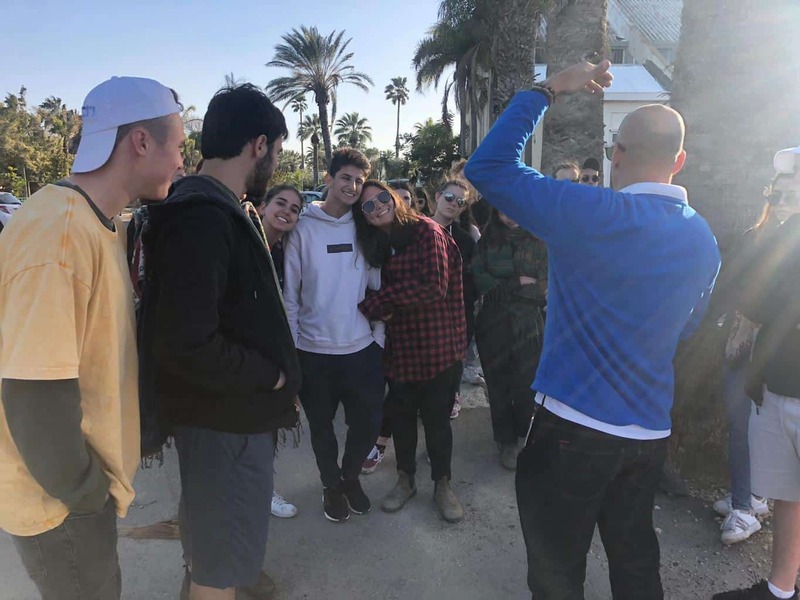 The second week of our semester has ended and after two busy weeks full of activities and traveling, it seems as if our students have come together and already formed close friendships with one another, which contributes to the amazing vibes we are feeling. 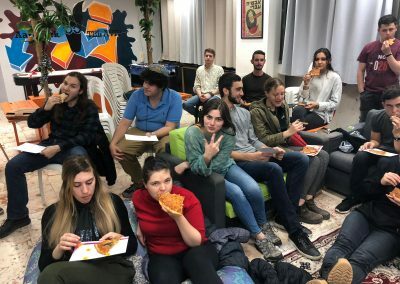 Sunday – We met at our offices for a number of important sessions designed to help our students better adjust to life here in Israel and Tel-Aviv. 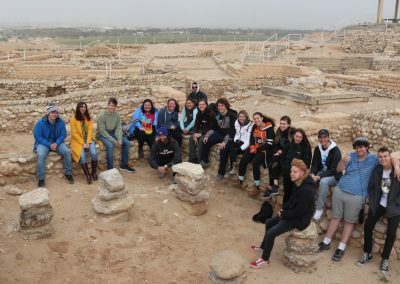 In the first session, we split into two groups: new students and year students. The session for the new students was about getting to know the business culture of Israel. 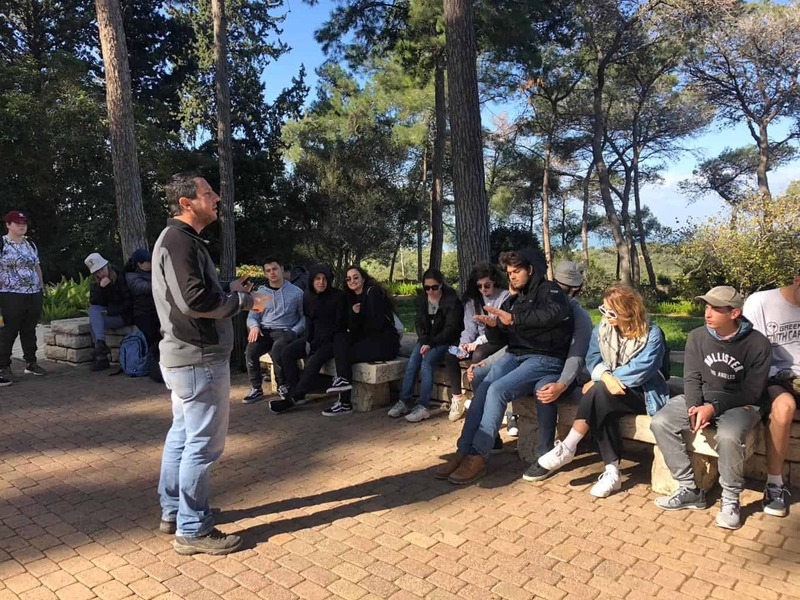 The lecturer, Osnat Lautman, author of the book “Israeli Business Culture”, explained the different and unique qualities of Israeli culture to the students and how they can use their different cultural backgrounds to their advantage while in Israel. 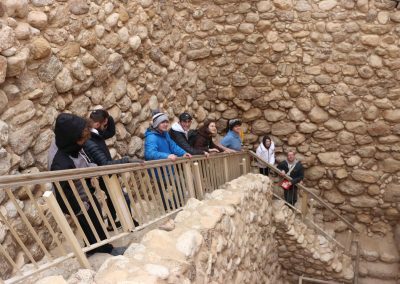 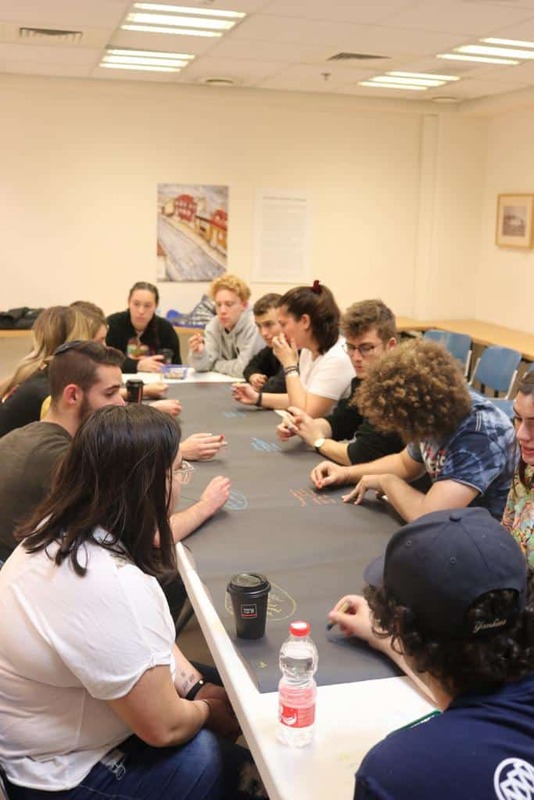 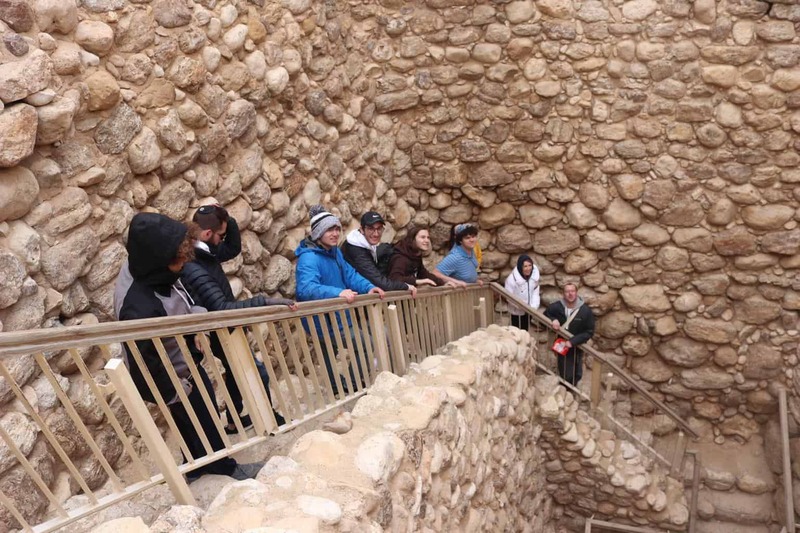 The year students had a session regarding their Jerusalem experience, especially their internships, where they discussed their learning process and how they can best make use of everything they have already learned. 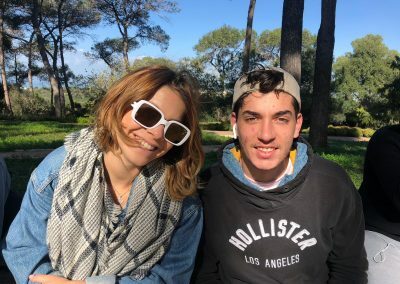 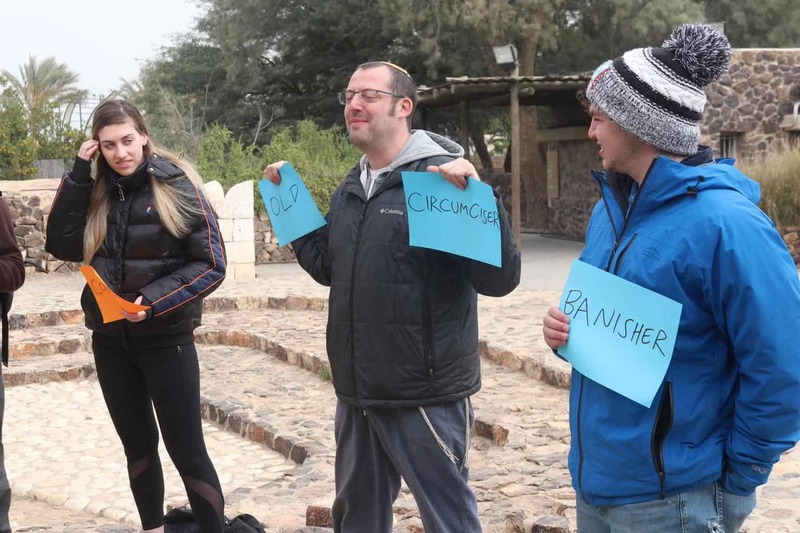 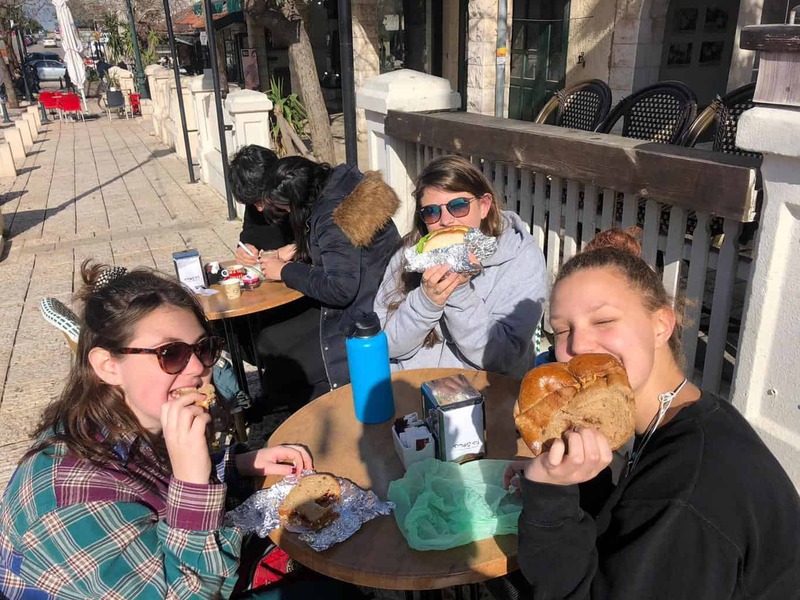 The two other sessions dealt with the Madrichim’s role on the program, and tips for daily life in Israel, in particular in Tel-Aviv, such as useful apps to download, good and cheap places to eat, places to visit etc. 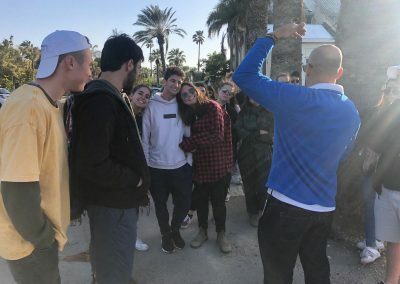 After the sessions, the students returned to their apartments to prepare for the evening activity. 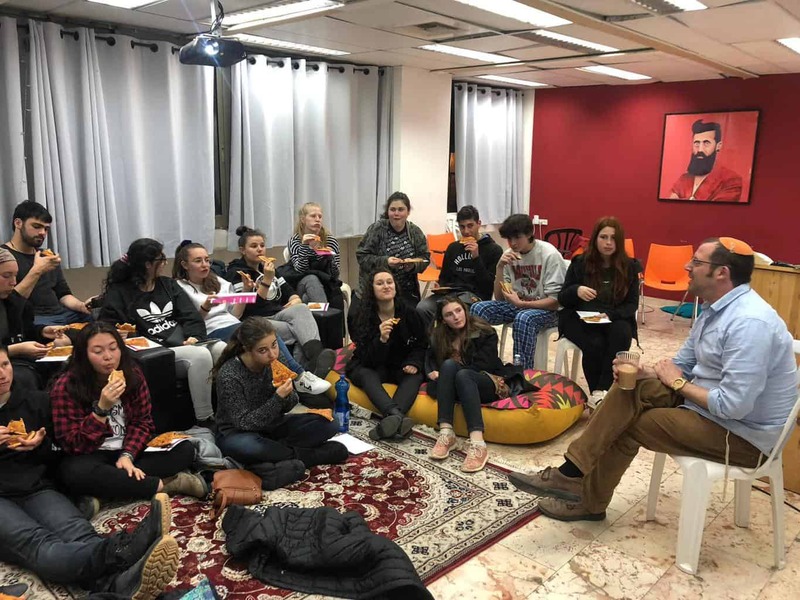 After everyone had cleaned their apartments, our madrichim met their students in their apartment for the activity. 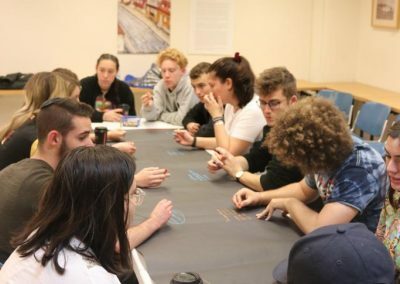 In the activity, the students were asked to write a letter to themselves detailing their expectations, thoughts, and wishes for the upcoming semester. 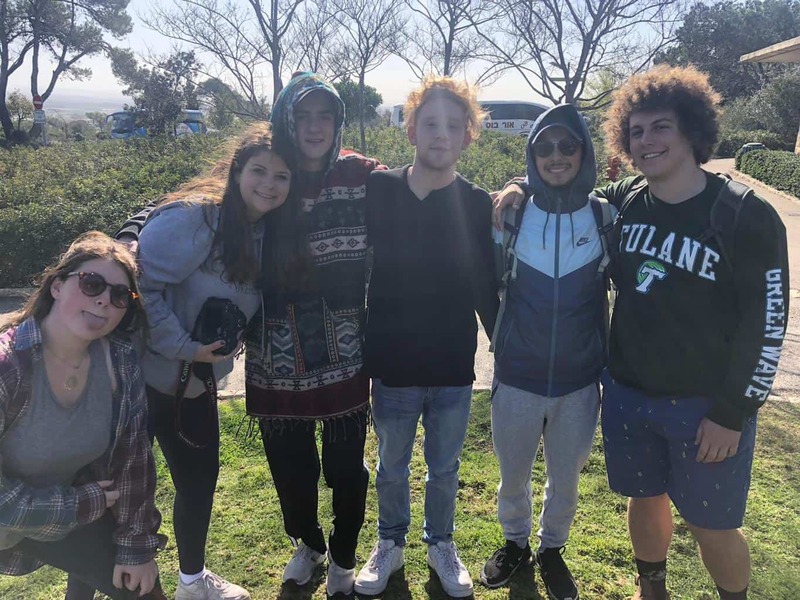 At the end of the semester, they will receive the letter back and will be able to use it as a tool to reflect on their time. 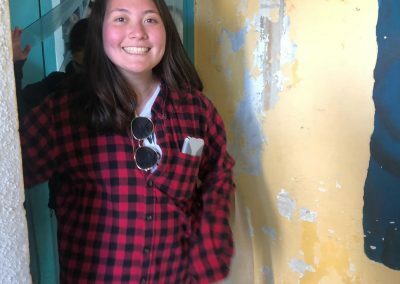 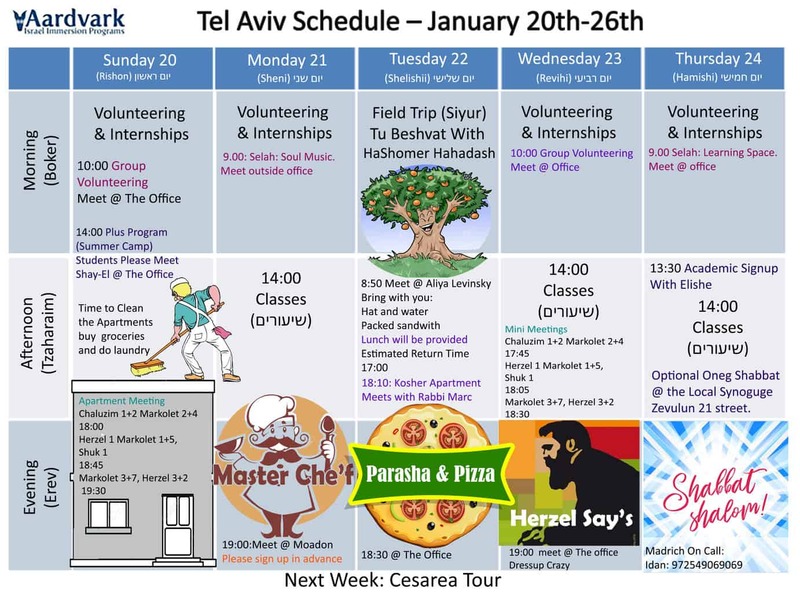 On Monday: The students began their internships and volunteering activities! 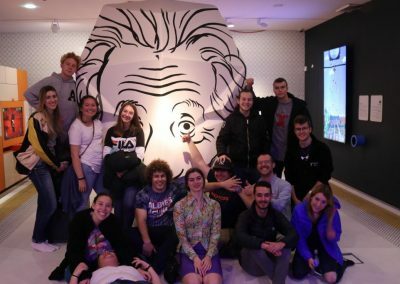 Some of your children had an amazing learning experience interning with some of the best startups, schools, local businesses, NGOs, etc. 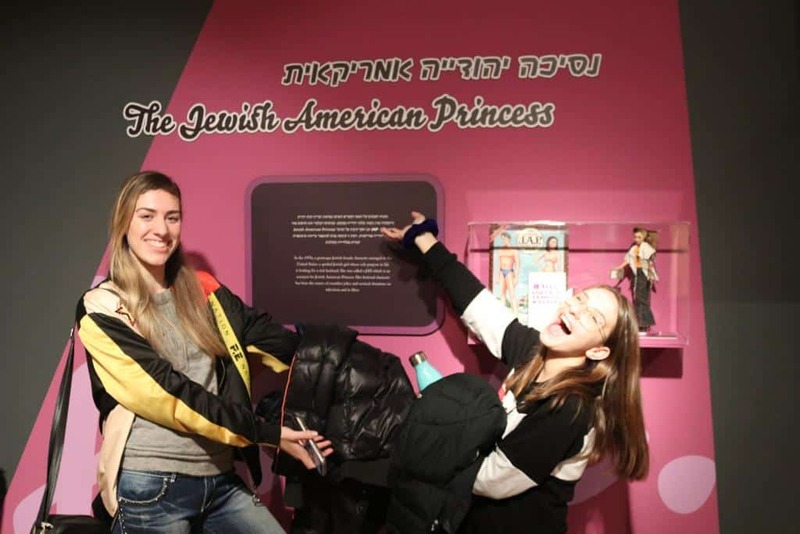 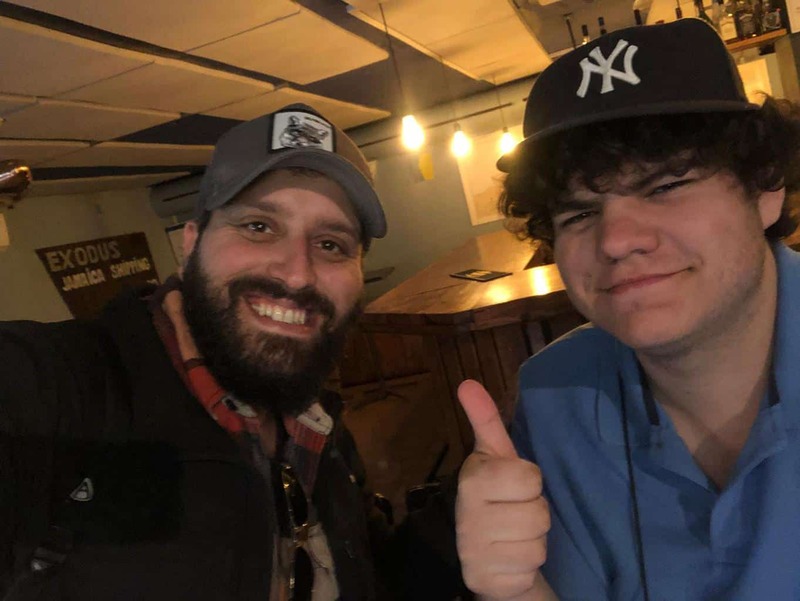 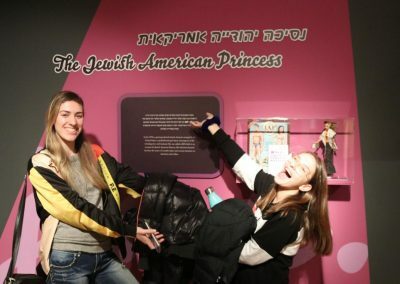 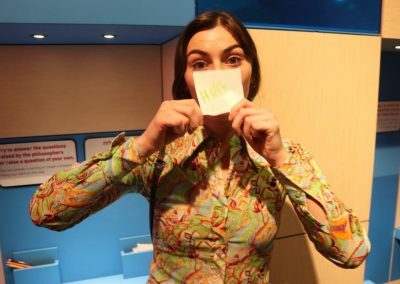 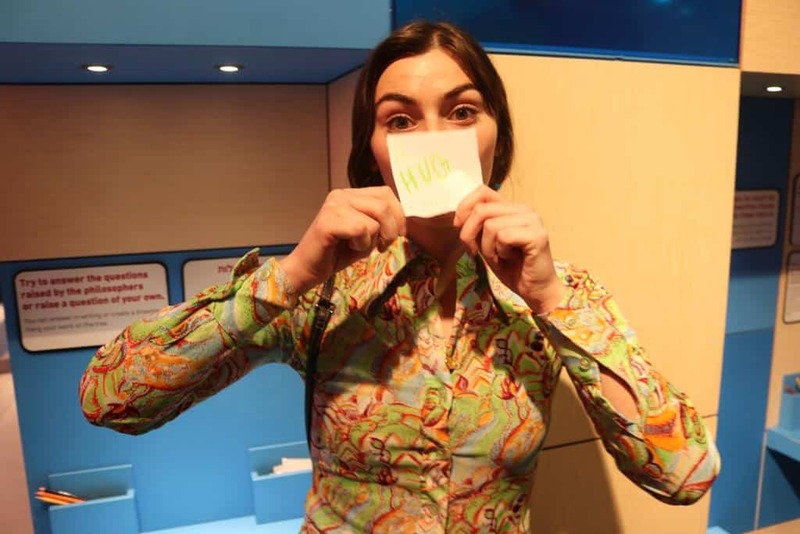 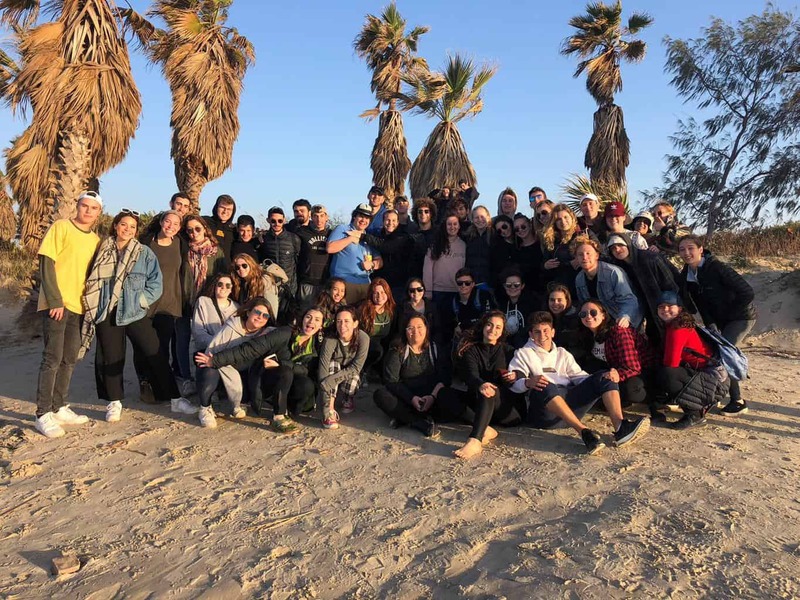 Later that day, after finishing their internships/volunteering, the students began attending classes such as Hebrew, Middle Eastern Politics, An Introduction to Business, Social Psychology, and more. On Monday night, the students had the chance to take part in an optional action room activity. 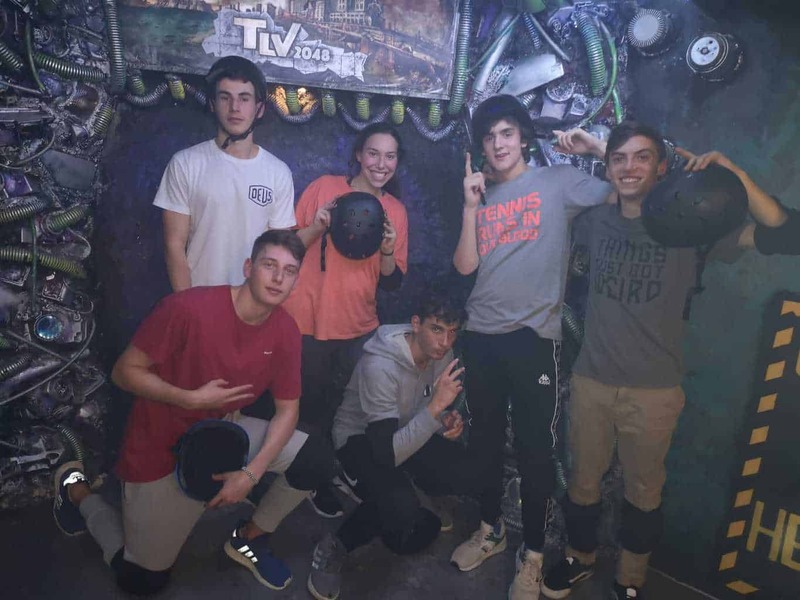 The group was split into seven teams that competed to determine who the true Aardvark action room champions are. 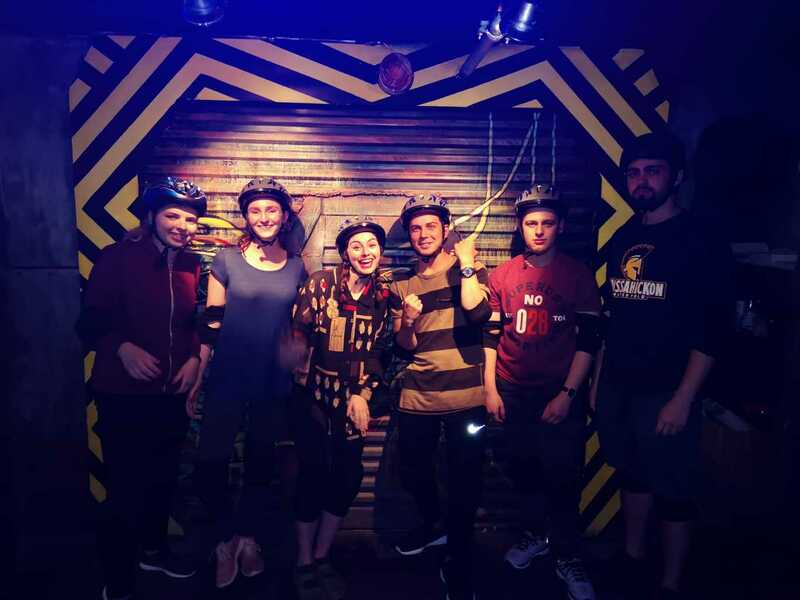 In the game, each room contained a different obstacle that requires teamwork in order to be solved. 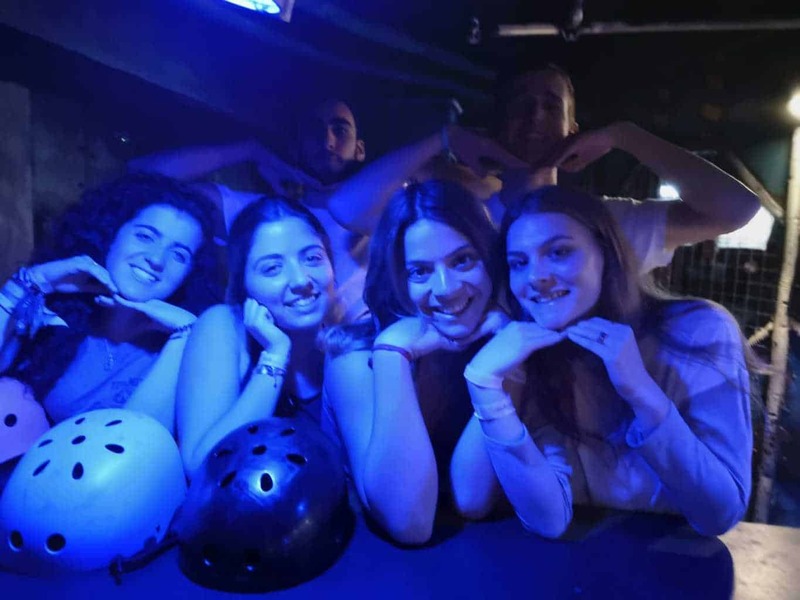 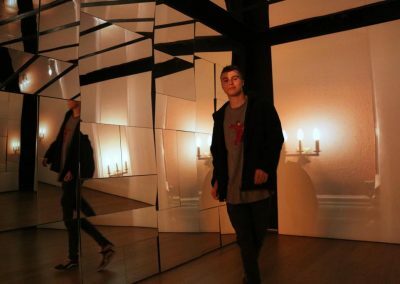 As the students went from room to room, they didn’t know what to expect. 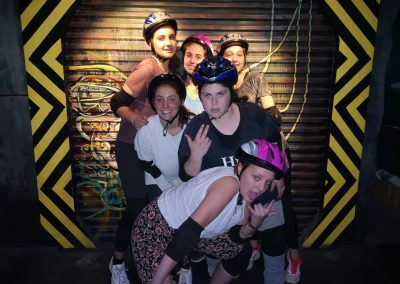 This was the fun part of the activity. 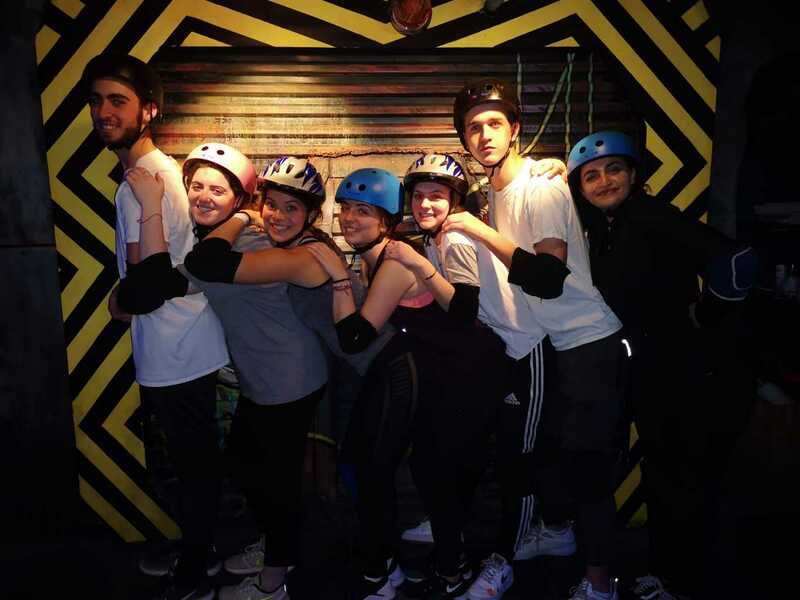 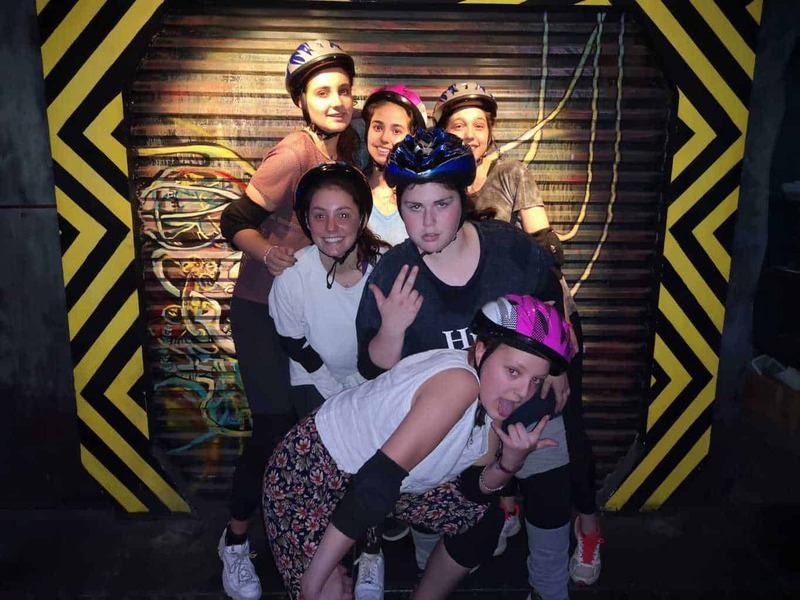 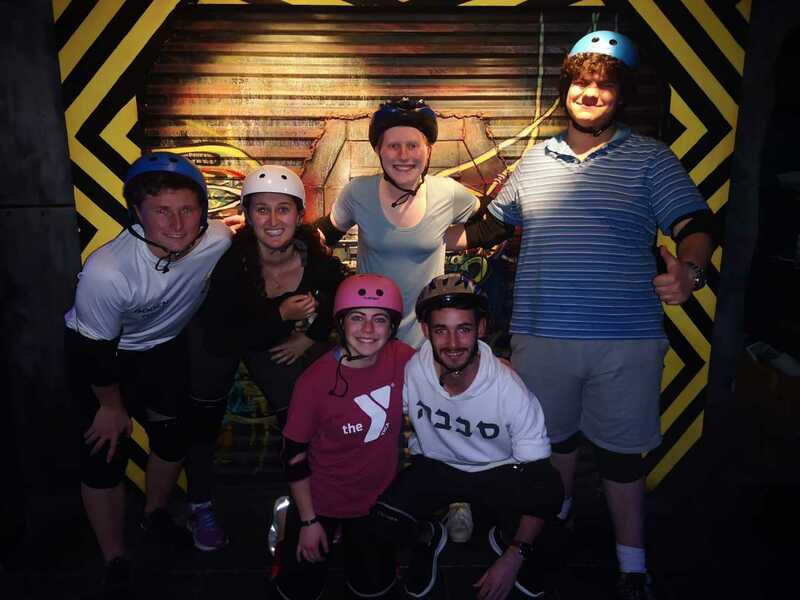 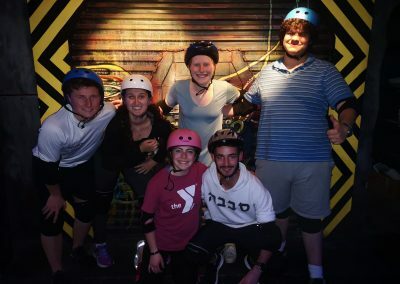 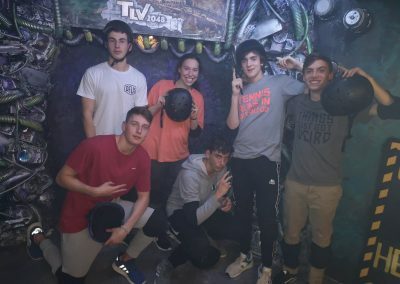 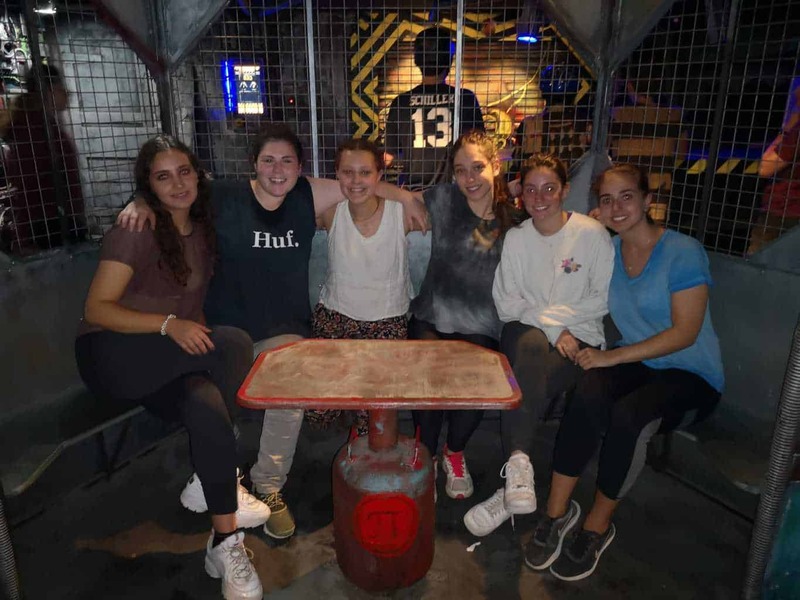 Despite some slight disagreements on the final standings, the students greatly enjoyed the activity and they are looking forward to their next Monday night activity. Our students left the activity very tired but also very satisfied 🙂 The winning team were rewarded with ice cream with their Madrich. 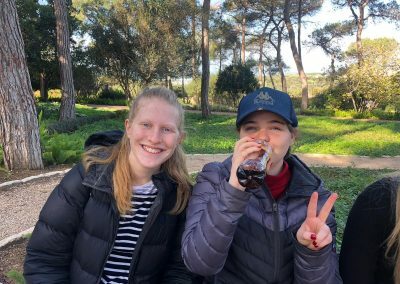 On Tuesday morning, we began the day at the Nadiv Gardens, which are amazing botanical gardens planted in honor of Baron Rothschild and his family. There, the students walked around the beautiful rose garden, water fountains, herbs garden, watched a short movie about the history of the place and the story of one of Israel’s very first settlements. 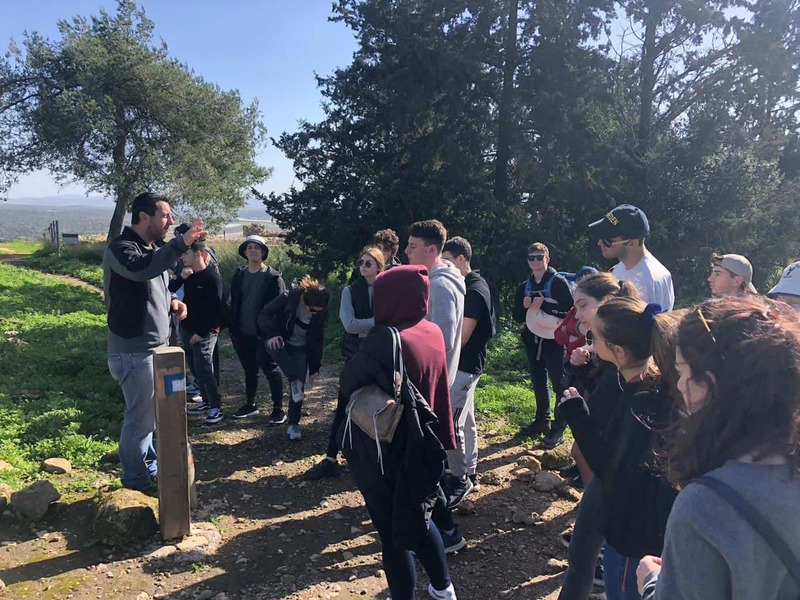 Later, we continued into the town of Zichron Ya’akov where the tour guide walked us through the old roads and secret paths of the old settlement while providing everyone with fascinating information about the hard life that the settlers had to go through to get to the easy and comfortable life that we have today. 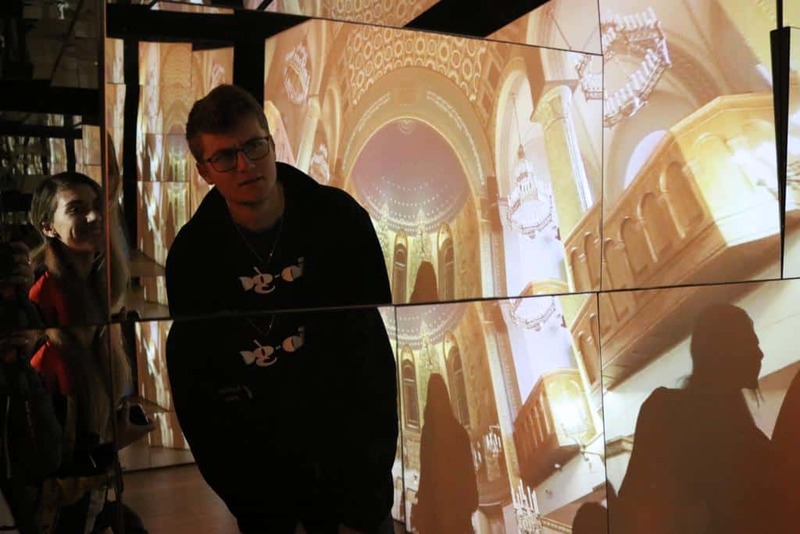 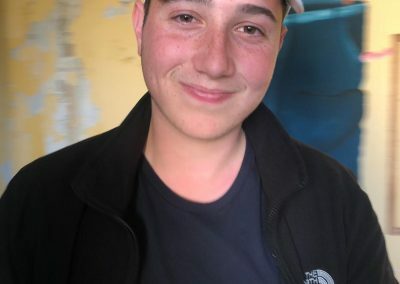 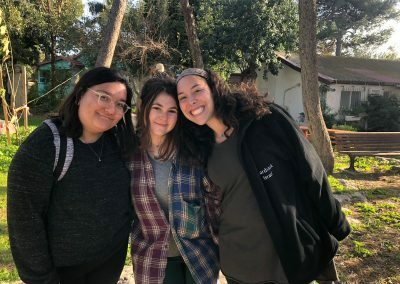 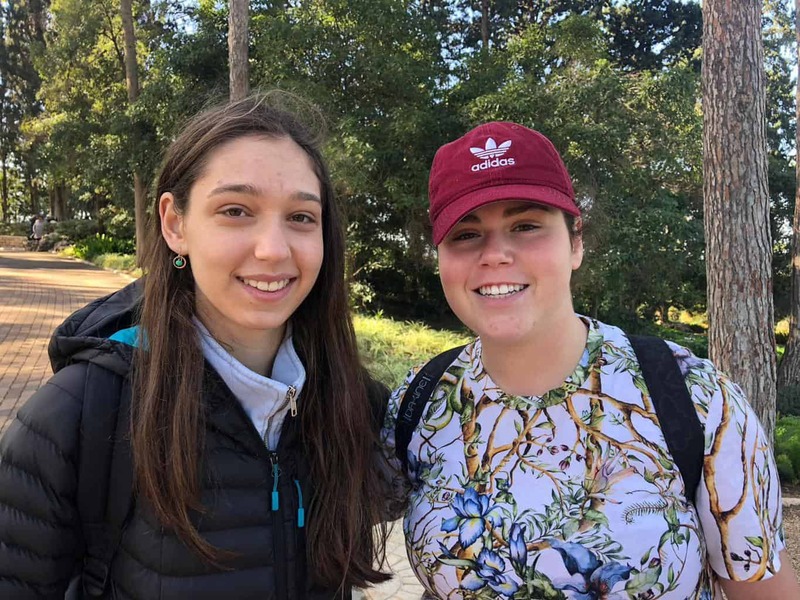 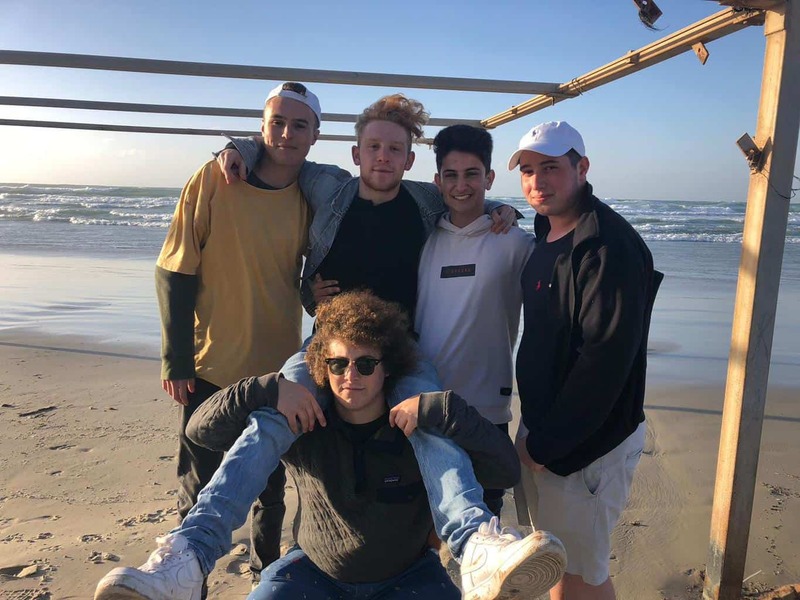 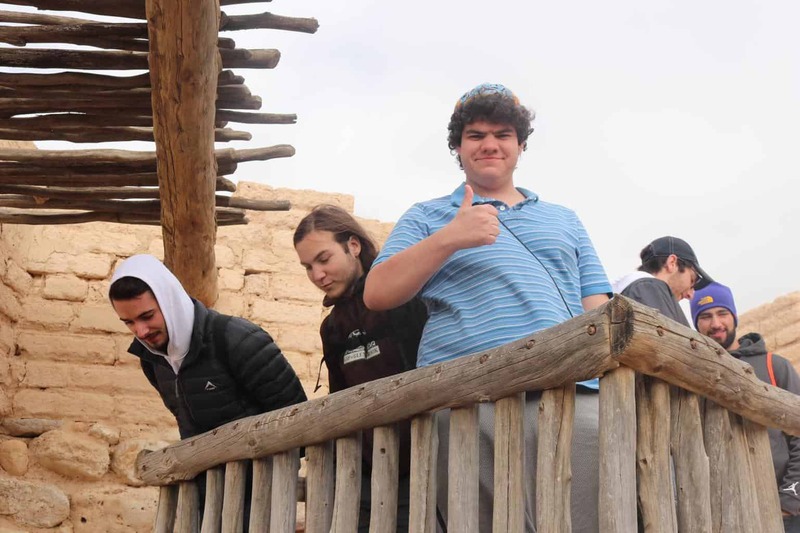 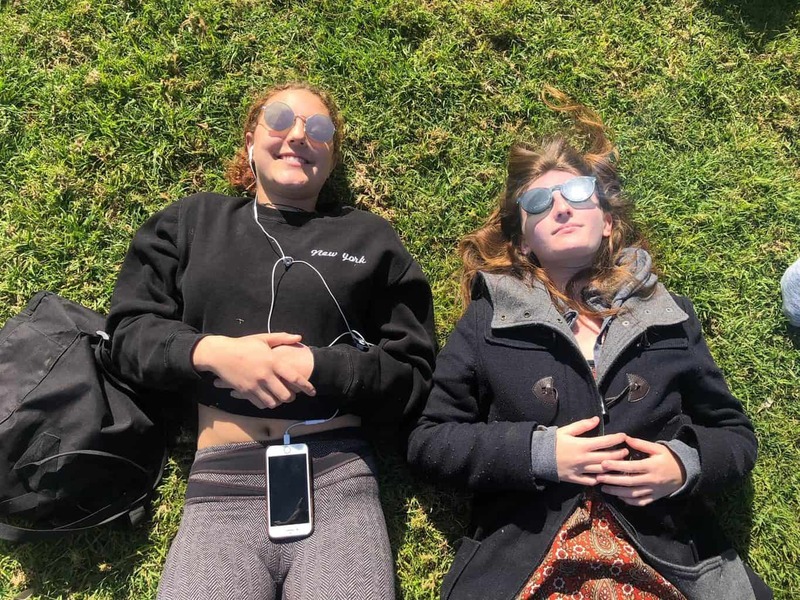 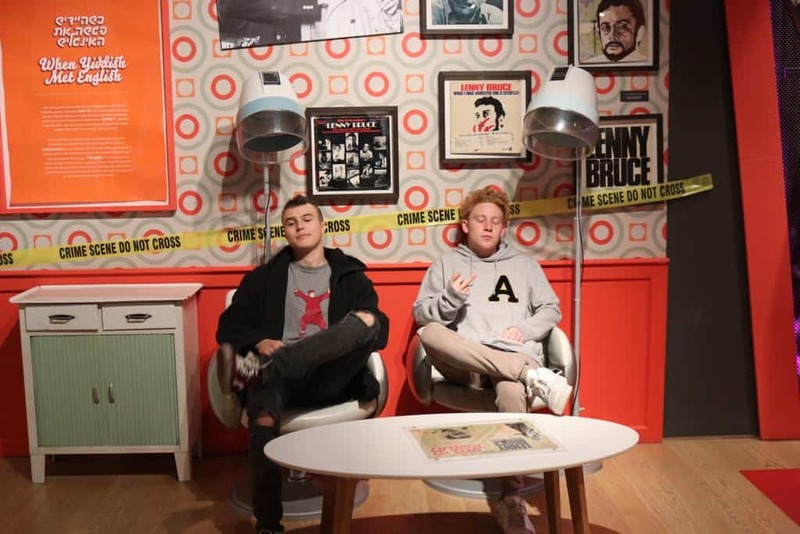 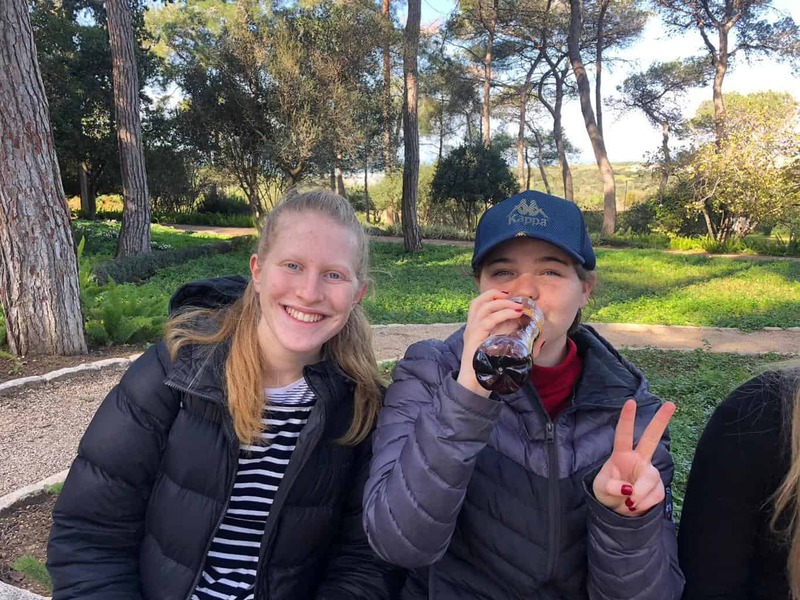 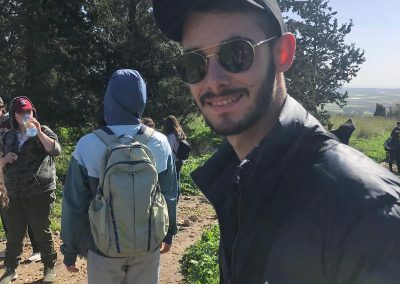 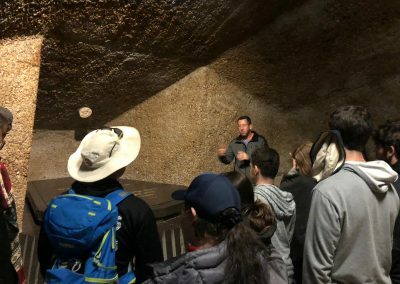 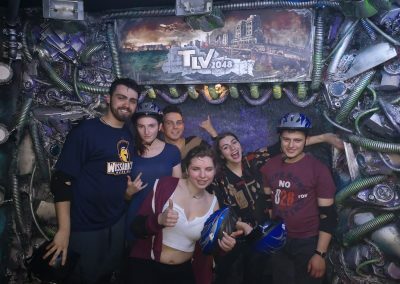 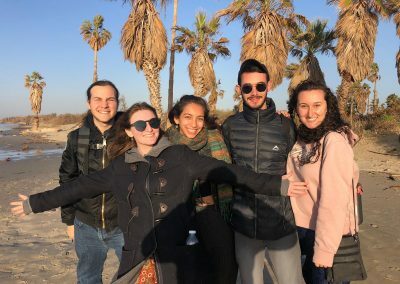 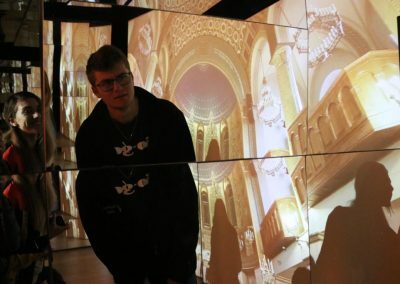 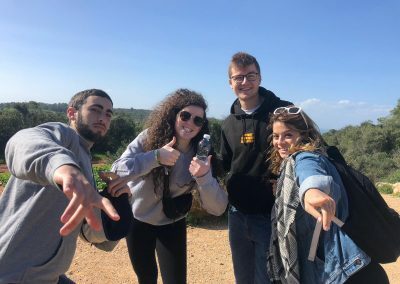 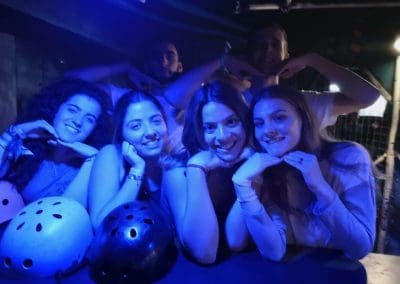 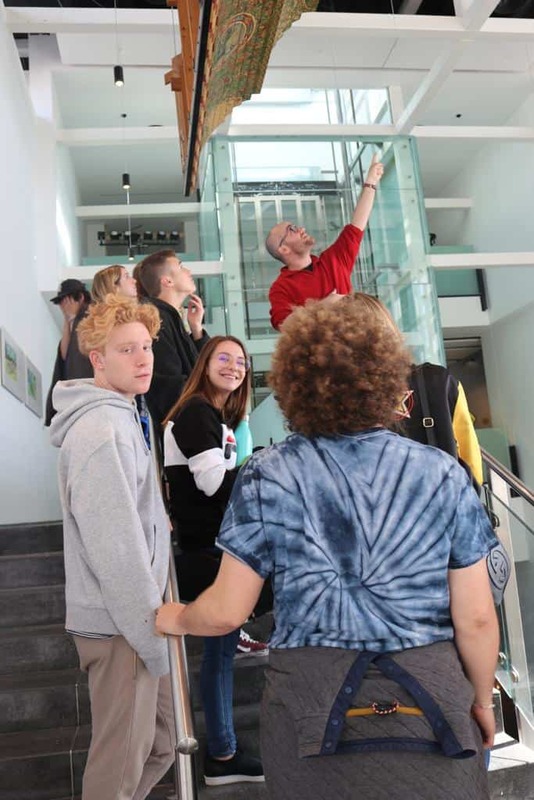 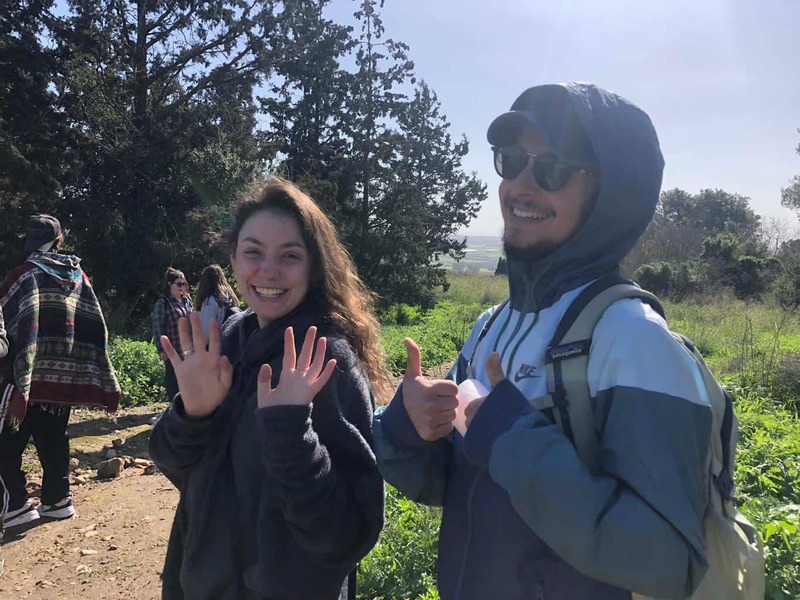 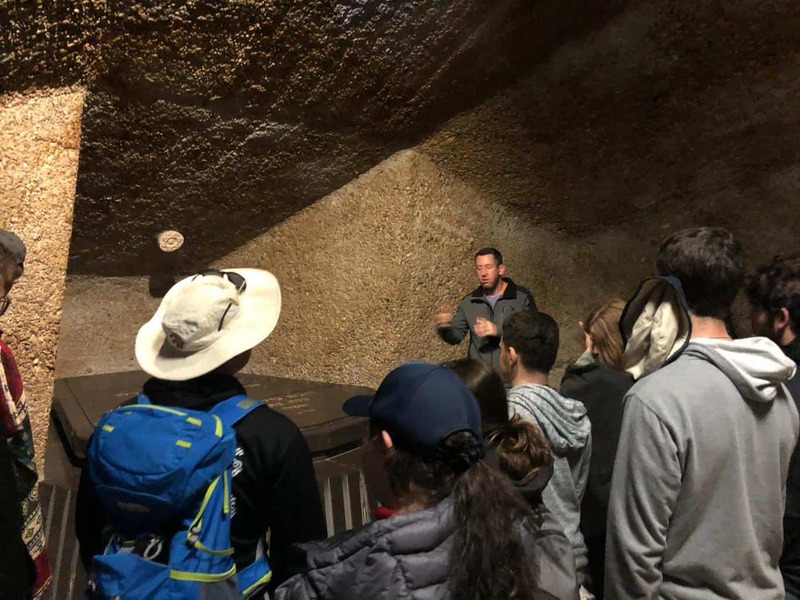 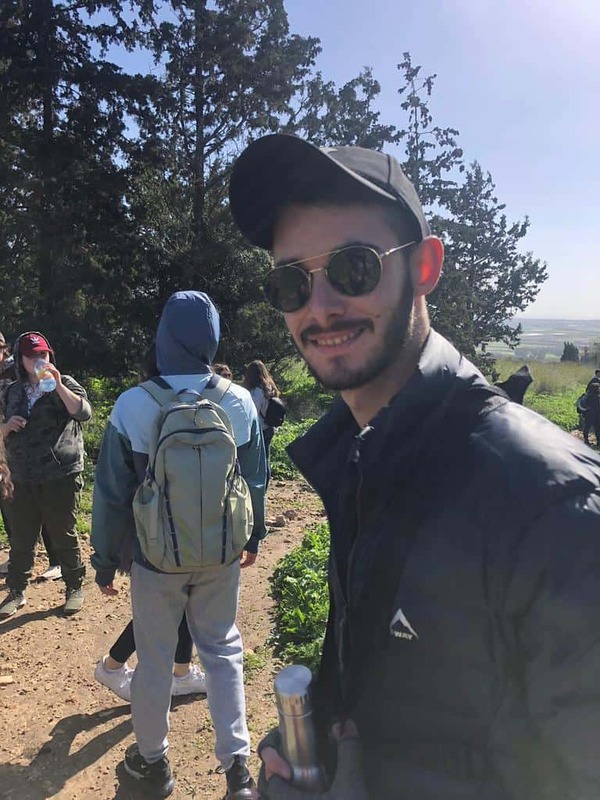 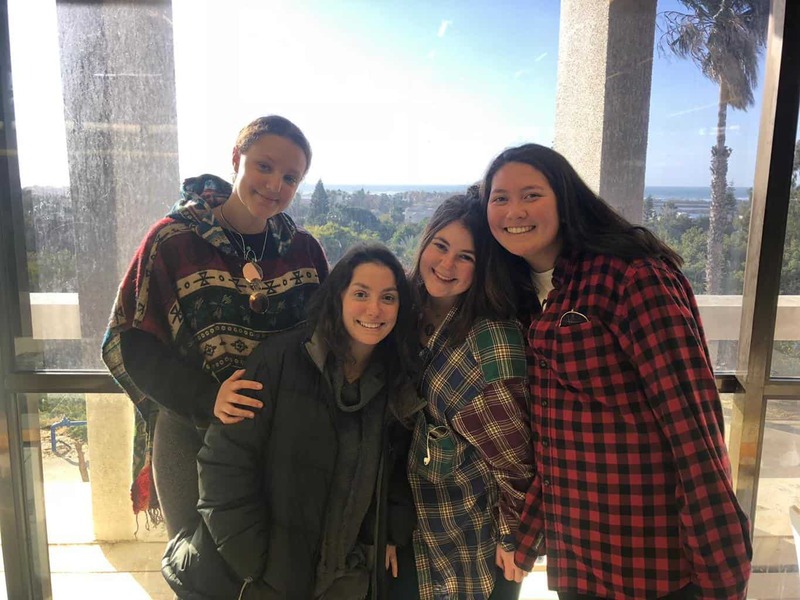 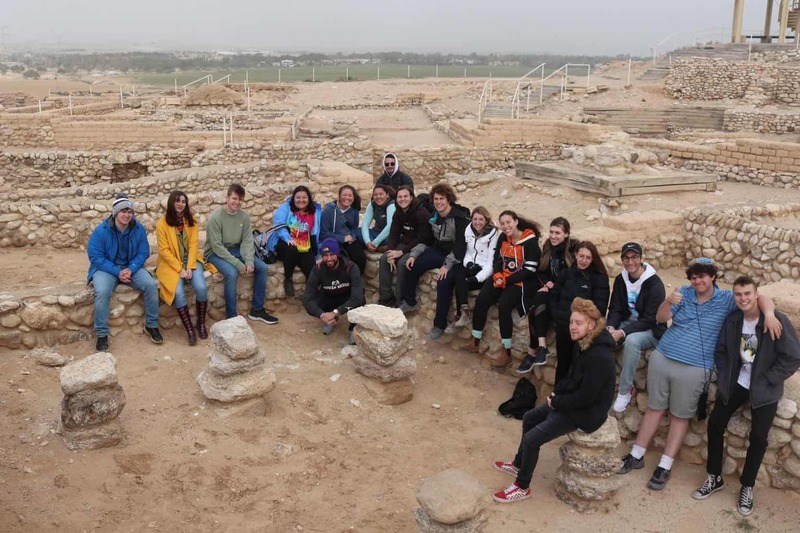 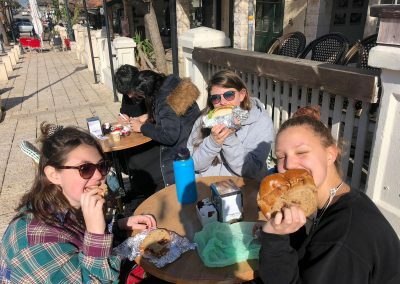 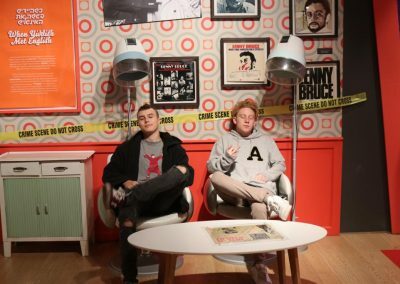 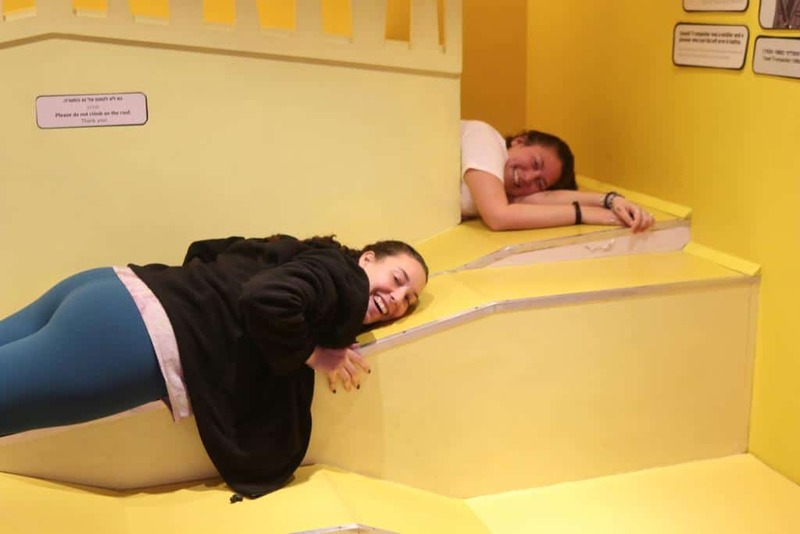 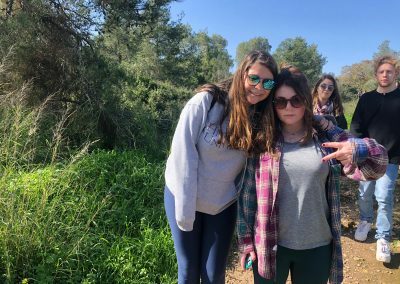 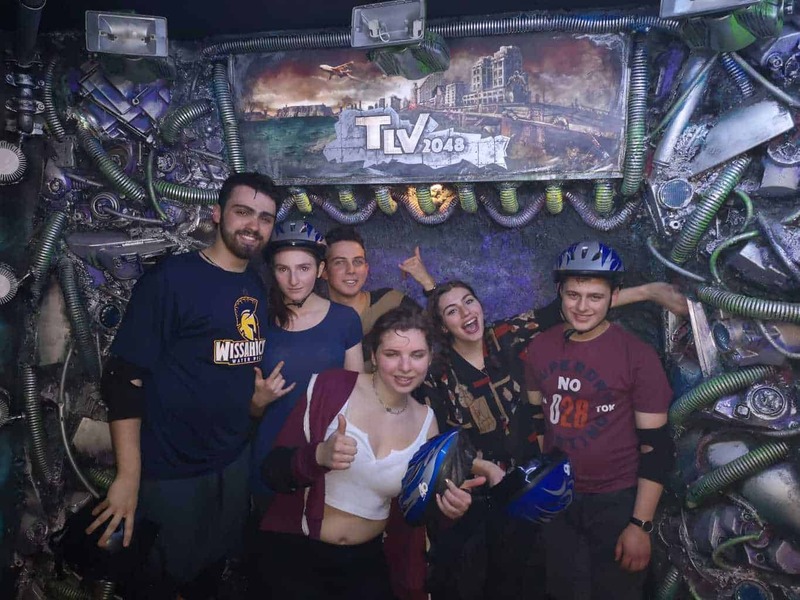 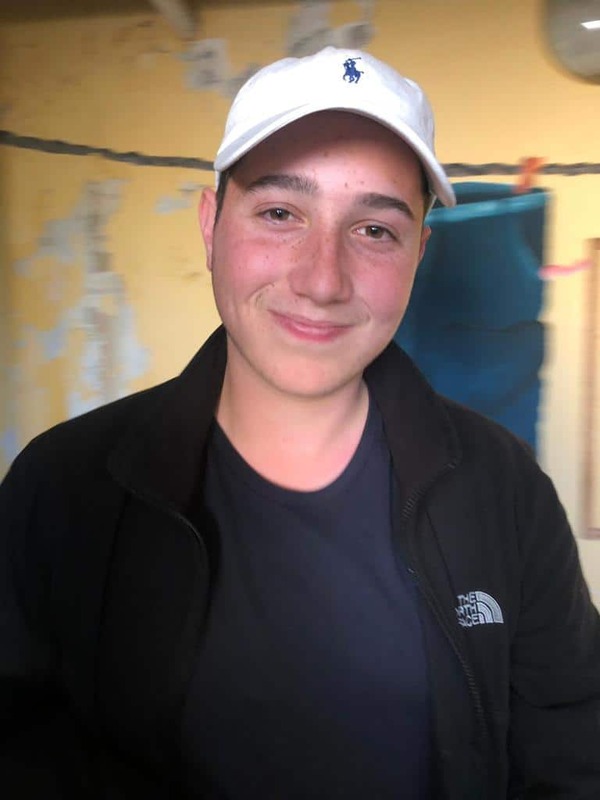 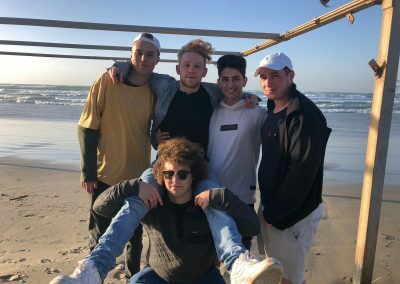 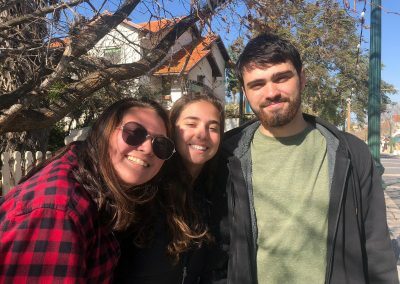 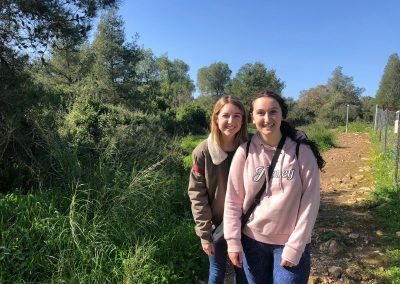 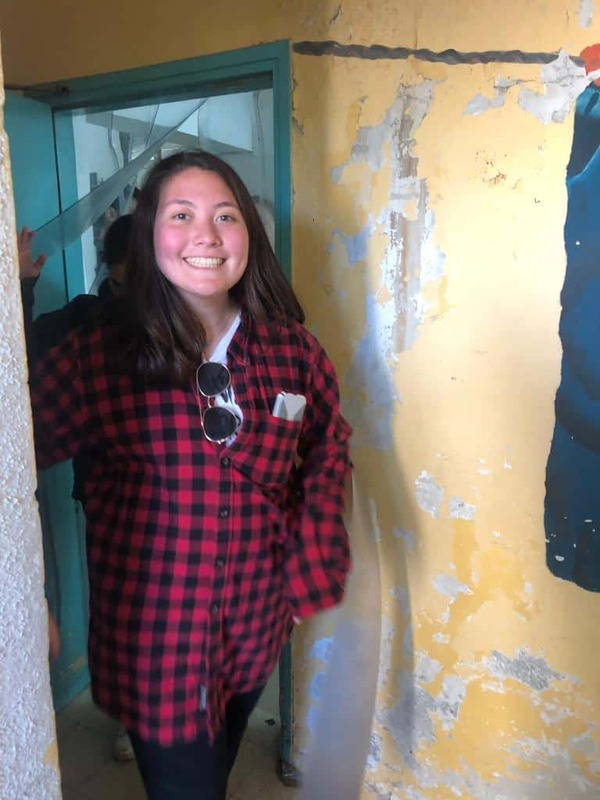 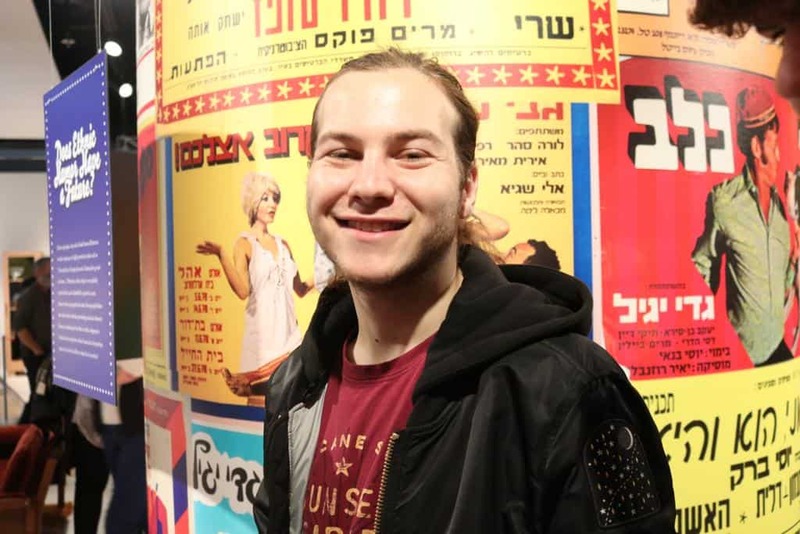 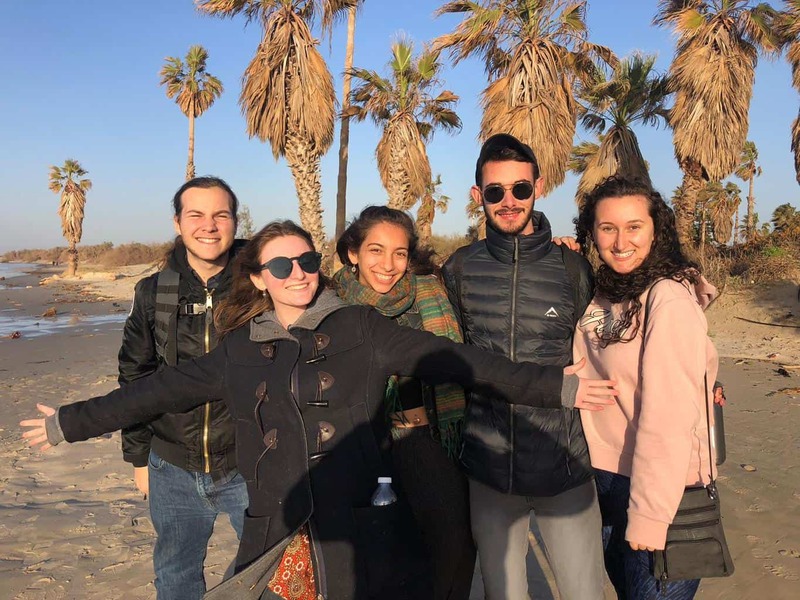 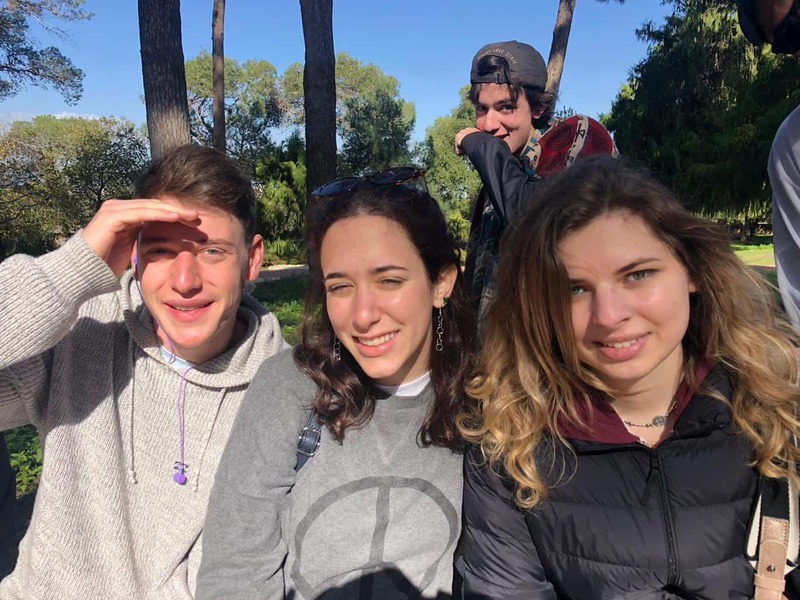 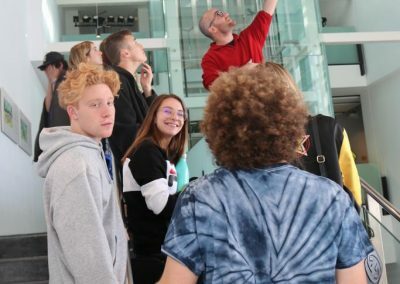 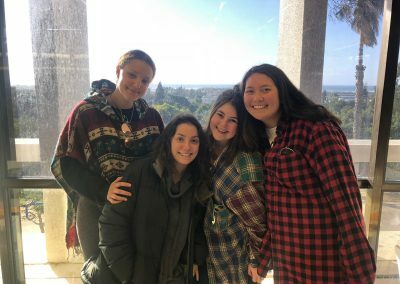 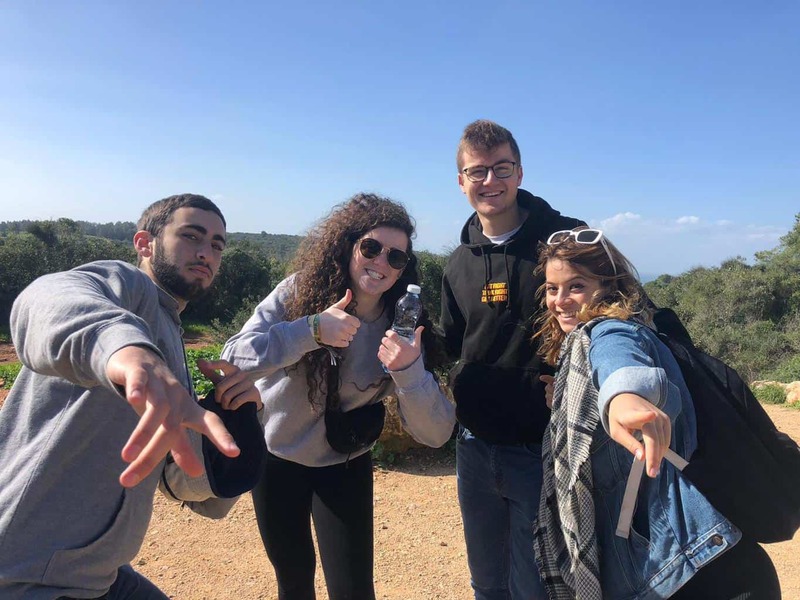 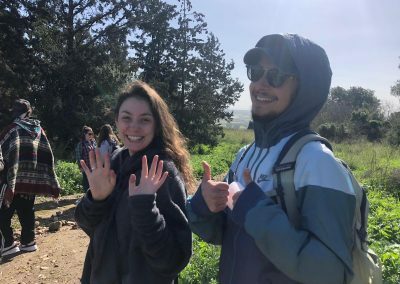 In the end, the students had some free time to walk around the Midrachov in Zichron Ya’akov, which is known for its variety of beautiful art galleries, and to have lunch at one of the local restaurants or cafes. 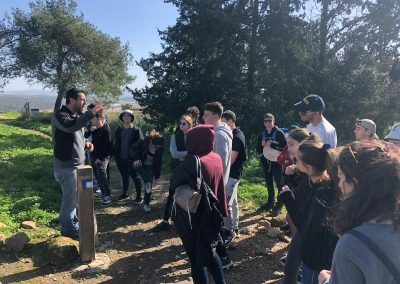 After the great visit to Zichron, we continued to a nearby kibbutz called “Maagan Michael”. 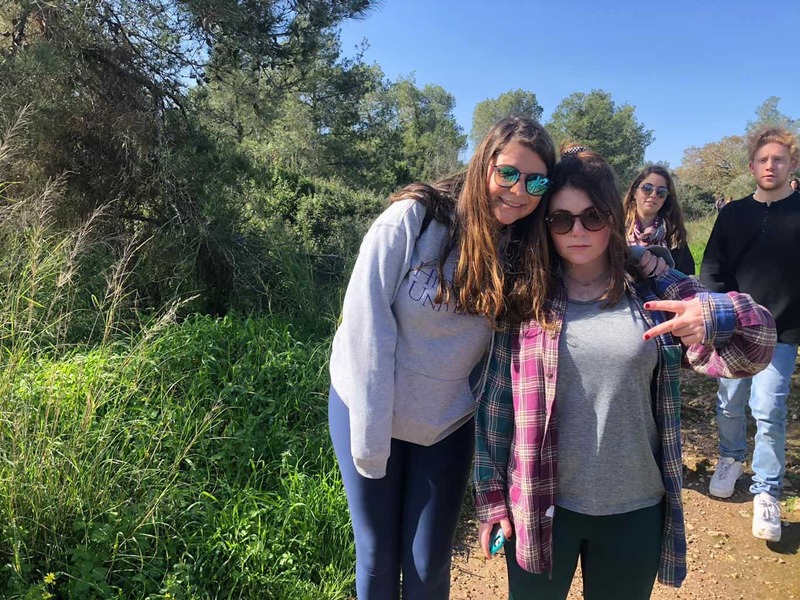 After learning about the difficulties of the first Aliya, in the kibbutz we learned how the people of the second Aliya lived according to the principles of socialism, which is how the kibbutz operates until this very day. 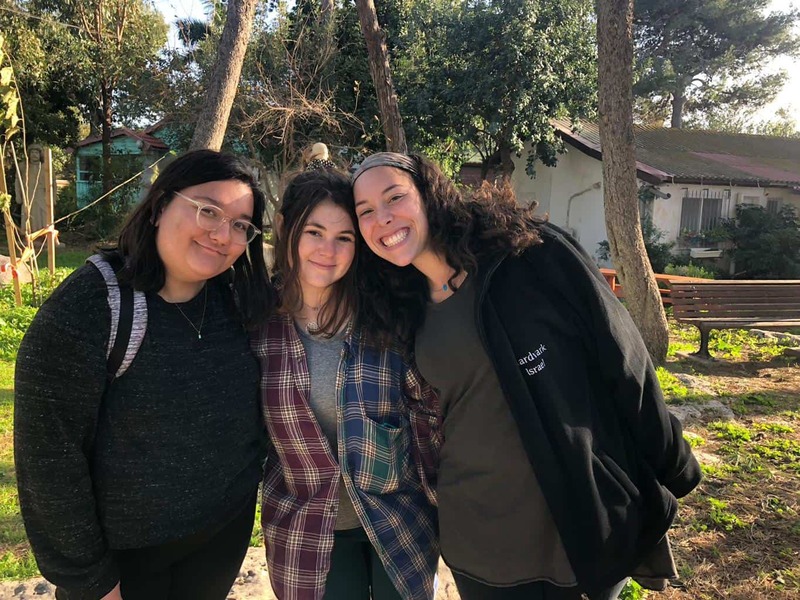 On the tour, we saw how all of the kibbutz members co-live and share a laundromat, dining hall, children’s home etc. 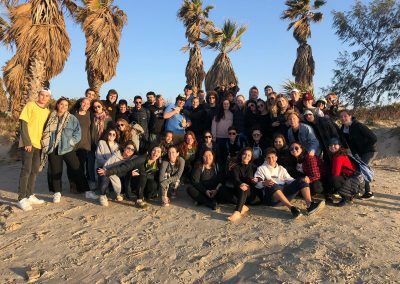 We ended the tour on one of the most beautiful beaches in Israel, which is located right inside the kibbutz. 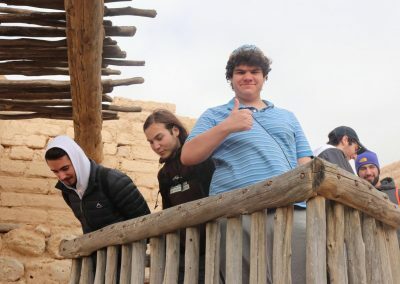 This tour was a great way to start the semester and a great memory for everyone to remember for many years. 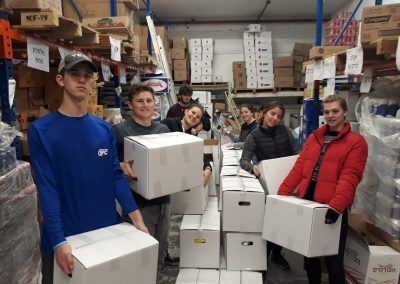 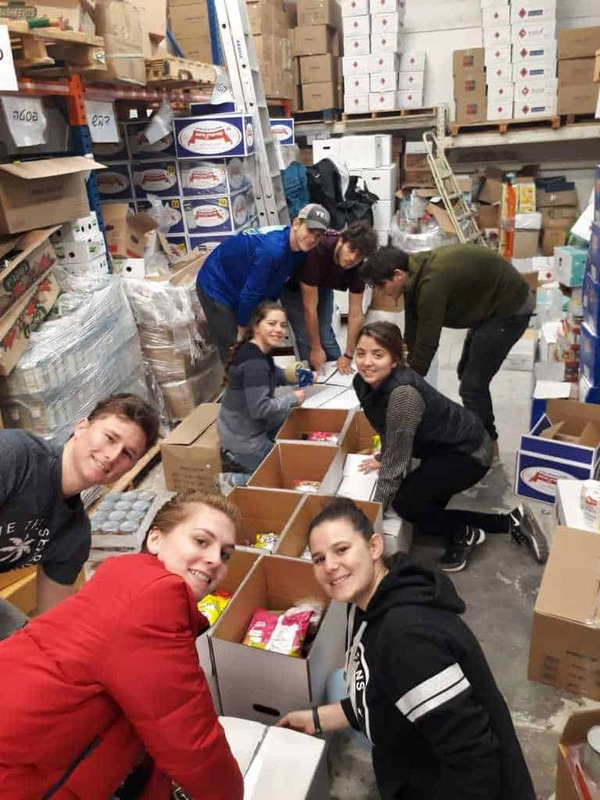 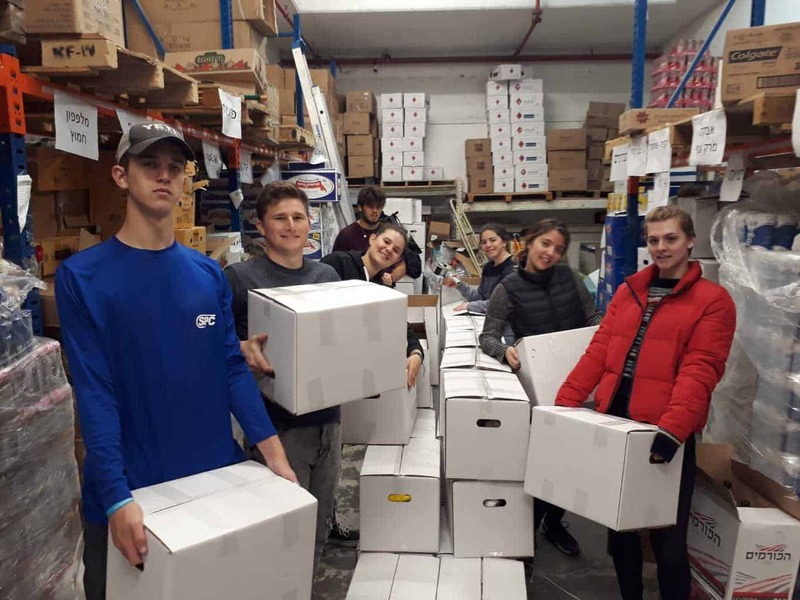 On Wednesday, some of our students went to volunteer at a local soup kitchen called “Lasova”. 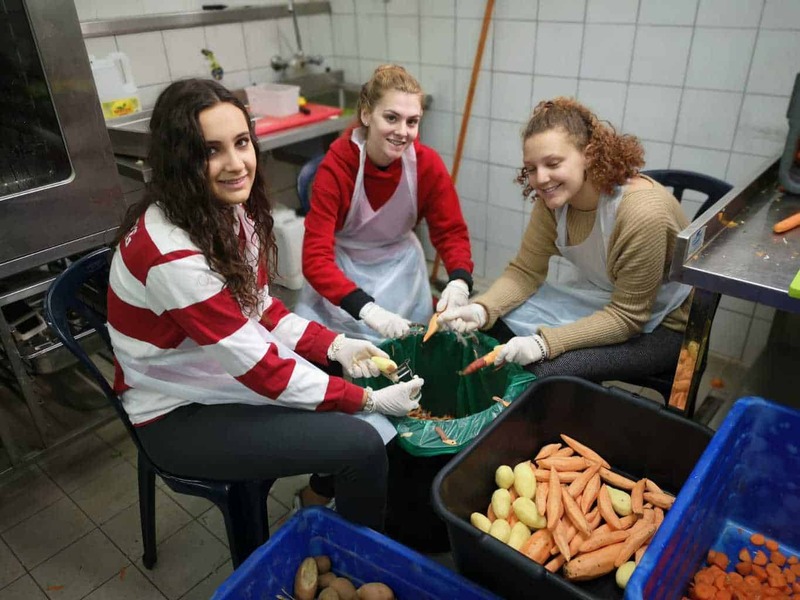 The students got a great opportunity to give back to the community, help in the dining room handing out food, organizing the dishes, and discuss the “less fortunate” population. 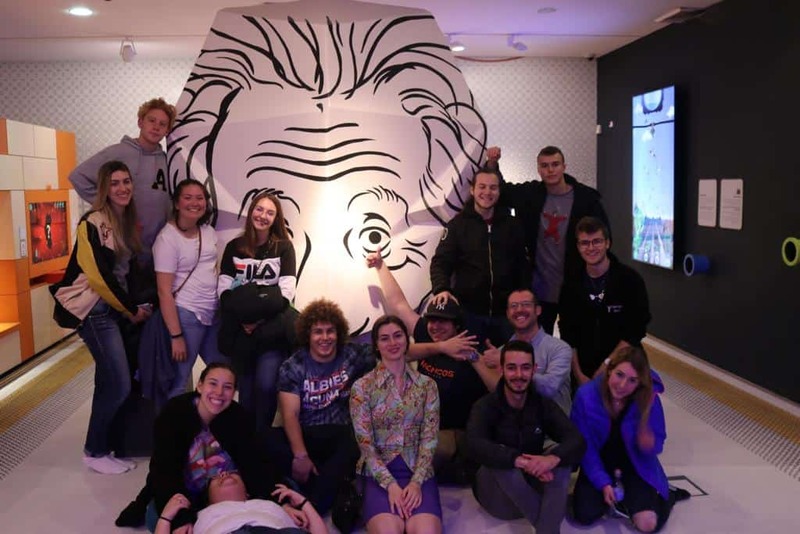 This was a meaningful experience for everyone who attended. 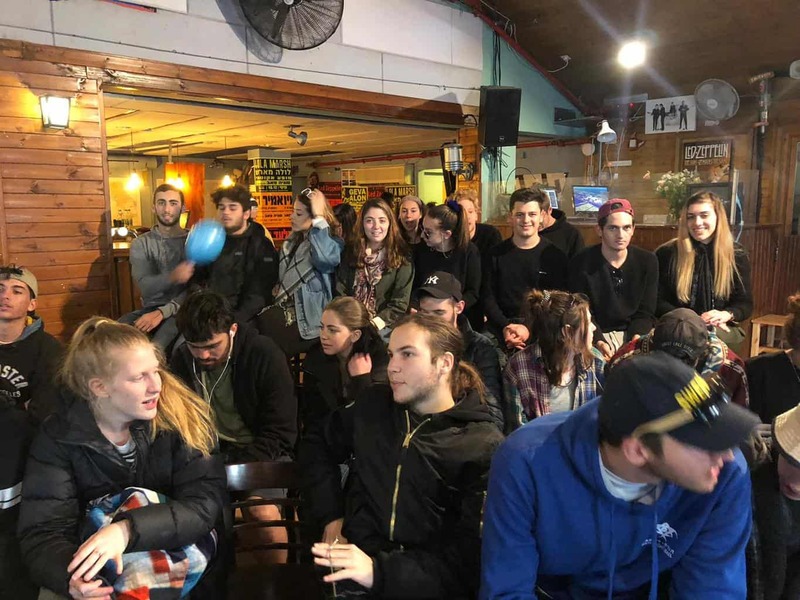 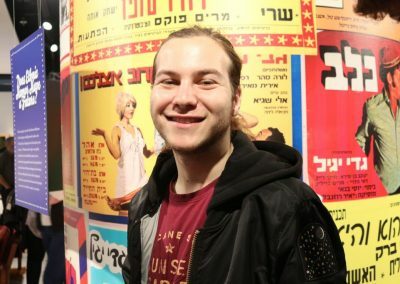 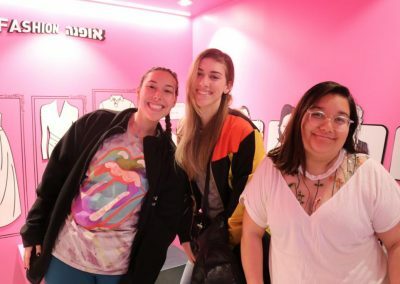 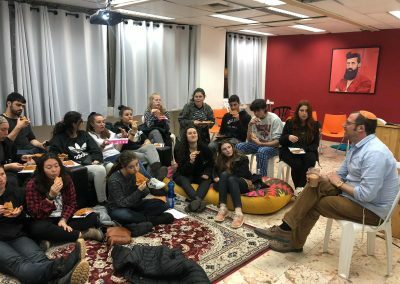 In the evening, after classes, the students gathered in our “Moadon” to hear a talk from a local caricature artist about the connection between humor and Israeli culture. 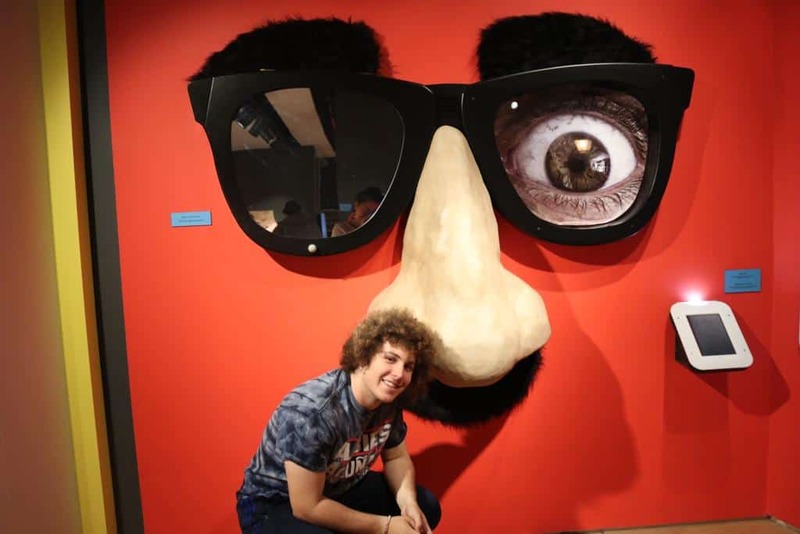 The lecture was funny and interesting and it gave us an idea of the techniques that artist use in expressing criticism by thinking outside of the box and using humor. 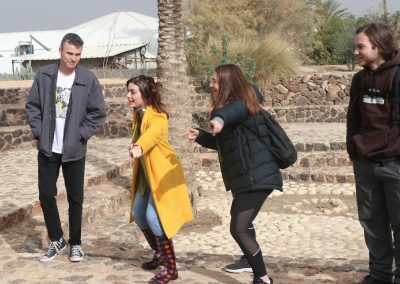 At the end of the lecture, we even got to practice this ourselves, we were given sheets of different caricatures and we had to come up with different and funny catch lines for them. 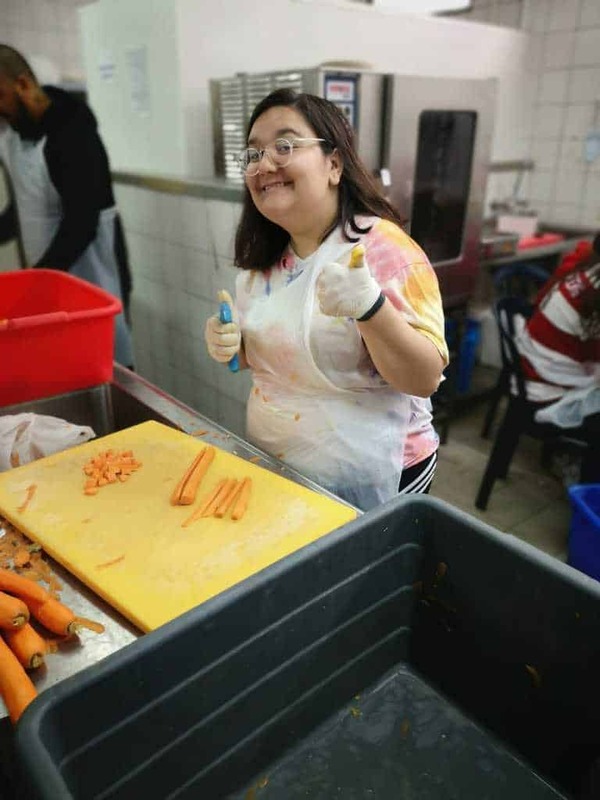 On Thursday morning, some of our students took part in an activity with an organization called “Kidom la’Hinoch”. 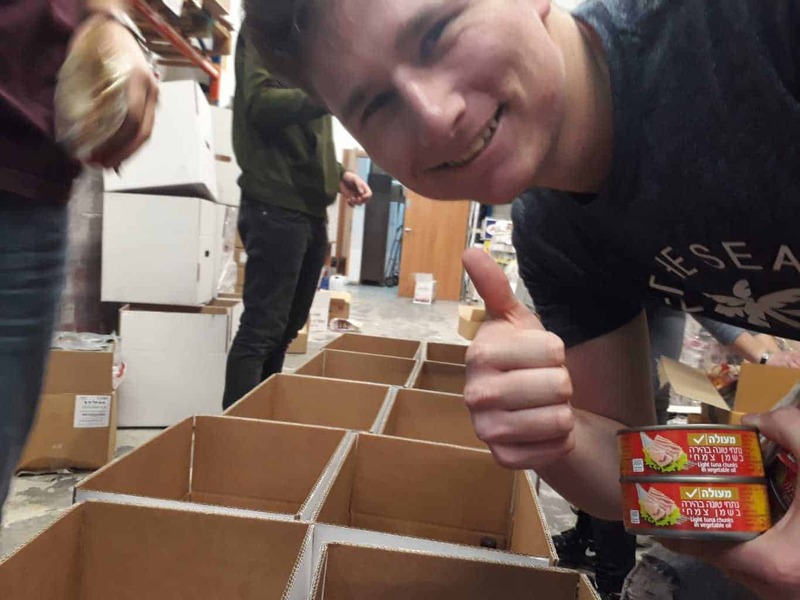 During this activity, they helped make food packages that will later be delivered to families in need. 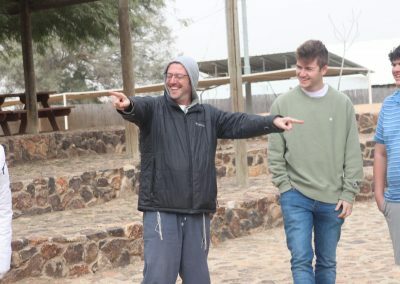 This was a great week filled with lots of different and new experiences and now it’s time for the weekend in which we will sit back and relax, and collect energies for the next week which will be no less exciting and busy. 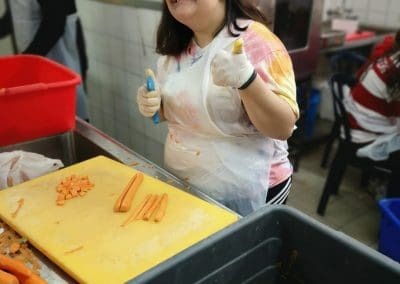 I volunteer at Save A Child’s Heart. 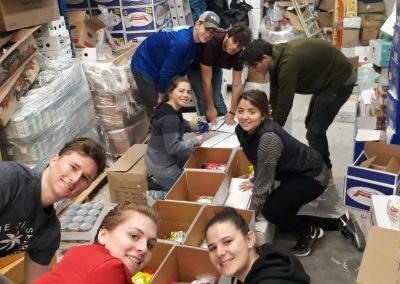 I have only volunteered there for 2 days and I already feel so lucky to be part of such an amazing organisation that saves lives and hearts on a daily basis. 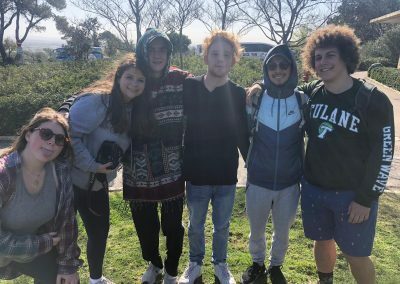 I have developed a close bond with the kids and I feel so fortunate to witness lives being transformed right in front of me. 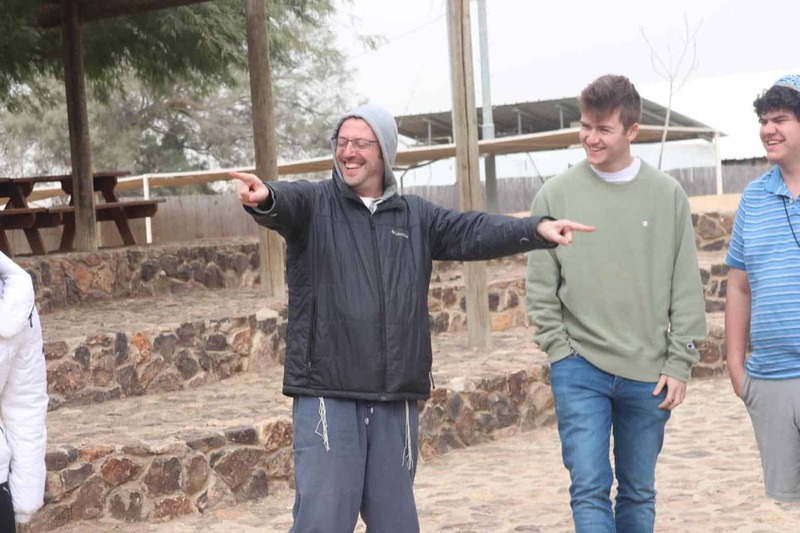 I look forward to volunteering there more and I can’t wait to see what the future has in store for me and the kids! 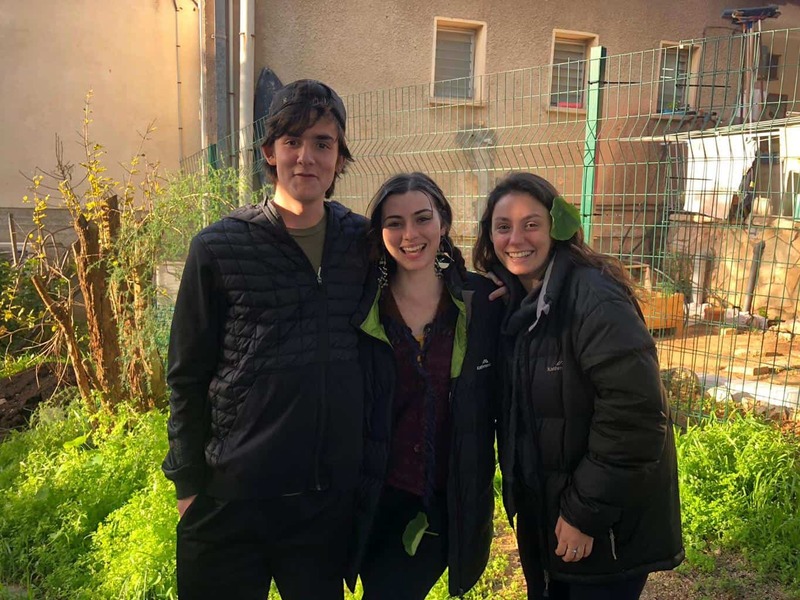 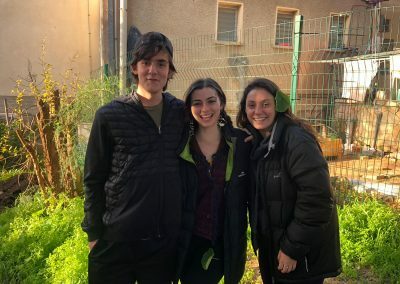 Next week, for Tu Bishvat, we are going to a farm in Tzrifim to meet with local teens volunteering in the Hashomer Hadash movement, which is focused on agriculture. The Madrich on call for this weekend is Daniel.